This wise saying—a Buddhist olelo no‘eau—was the inspiration for the Full Moon Intensive held at Chozen-ji from October 22 to 25. 35 students, many of whom practice in our Far Flung Sangha from Maui to Idaho to Toronto and beyond, came for four days of just practice. 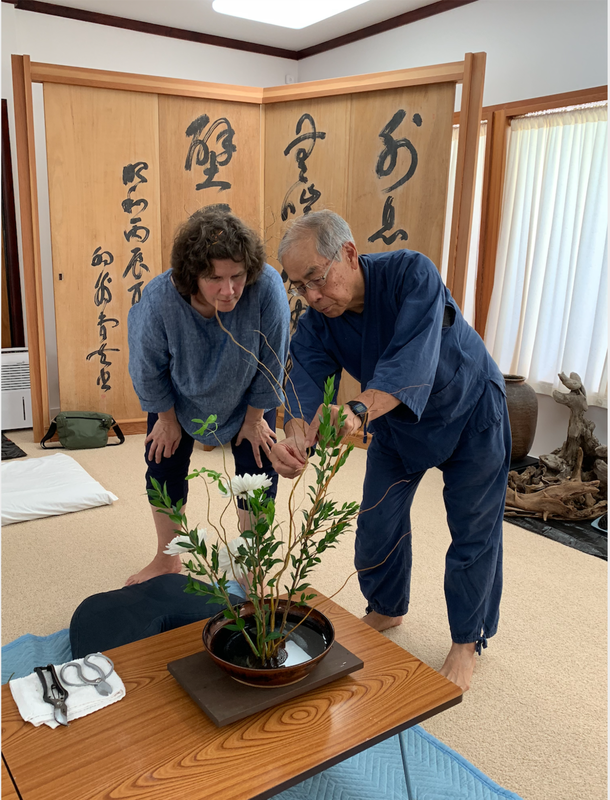 Just practicing zazen, okyo, shodo, kado, samu and Mu-I Tai Chi Zen. Just practicing breath, focus, and kiai. And doing so in the practice community known as sangha. Zen practice requires shugyo, which by its nature is a solitary endeavor. No one can sit for us. There is no shugyo by proxy. Regular—preferably daily—individual efforts form the steady heartbeat of Zen practice. It is helpful, however, to practice together on a regular basis. Doing so provides a mirror to see and interrupt habits. It creates synergy to tangibly sharpen and deepen practice from that point on forward. Larger gatherings such as Full Moon provide a window into what may be possible in society as a whole—if we breathe together, move together, and create and circulate energy. Through large intensives like this, we can reset and recall, returning spirit to the core of who we are. Full Moon will be offered November 13-16, 2019. My hope is that there will be more participation from Hawai‘i students. Gassho! And mahalo nui to everyone for their sincere participation and kōkua.